This is the most magical time of the year for Spanish kids. 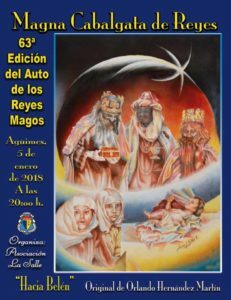 The tradition here is that Los Reyes Magos, known as the Three Wise Men or the Three Kings in English, are actually the ones who bring children their gifts on the Day of the Epiphany, which is the 6th of January. This is the day when Melchor, Gaspar and Baltazar bring their gifts. They arrive in a bewildering number of ways, some by boat, by air, by camel, by parachute, by helicopter, by bike and Street Parades in every major town commemorate the arrival of these wise men from the east as they are celebrated across Gran Canaria on the 5th, the eve of Dia de Los Reyes, Three Kings Day. Now a days it feels like a frenzied shopping spree in the run up to this 12th day of Christmas, with many, now that Santa is evermore on the scene, getting two sets of gifts to celebrate the season of good will, but the good news is that the January sales start properly as soon as this day is done. Another tradition celebrated through Spain is the Roscón de Reyes. You might have seen this sweet circular cake with candied fruit on top in the shops in multiple varieties. The fruit is said to symbolizes the precious gems from the Wise Men’s clothing. 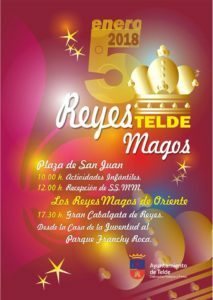 On Wednesday 3 December, the children in Playa de Mogán will be able to enjoy a small street parade, starting at 17:30 from Avda Los Marreros (shopping centre) to Plaza Dr Pedro Betancor León where they will be able to deliver their letters to a royal page and enjoy a clown spectacle. 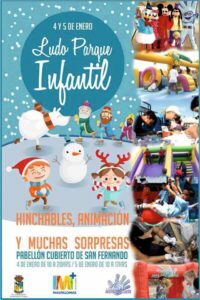 On Thursday 4 December, the children in Pueblo de Mogán will be able to deliver their letters during a lovely event with activities for children in Parque Nicolas Quesada starting at 18:00. 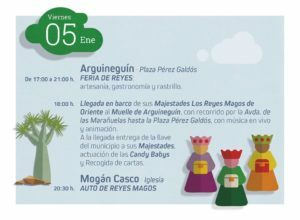 Friday 5 December; The King’s Fair takes place in Arguineguín from 17:00-21:00 in Plaza Pérez Galdós, during which the Three Kings arrive by boat and will make a tour of the town, from Avenida de Las Marañuelas to Plaza Pérez Galdós, where they will collect the letters and their Majesties will receive the magical key to the municipality from the mayor. 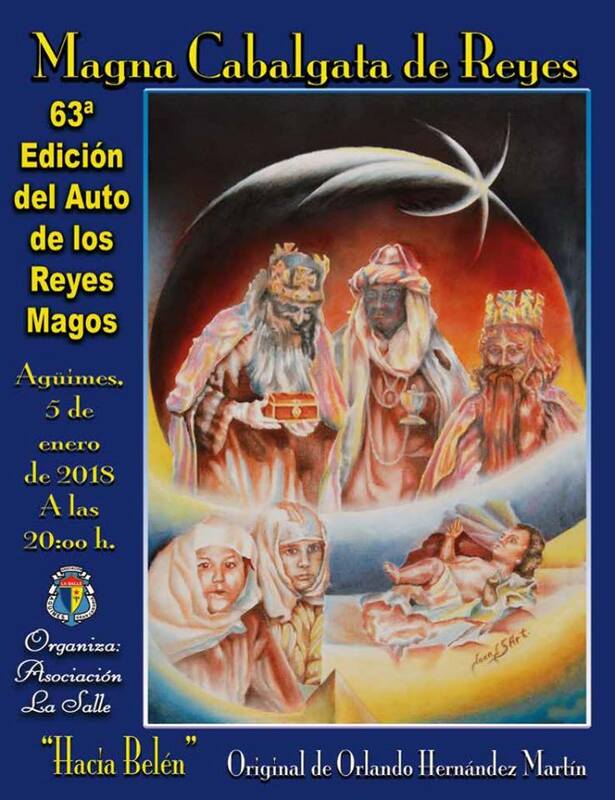 The traditional Auto de Reyes Magos, a religious event, will be held on Friday at San Antonio Church in Mogán Casco at 20:30, and will end the Christmas program for the municipality of Mogán. 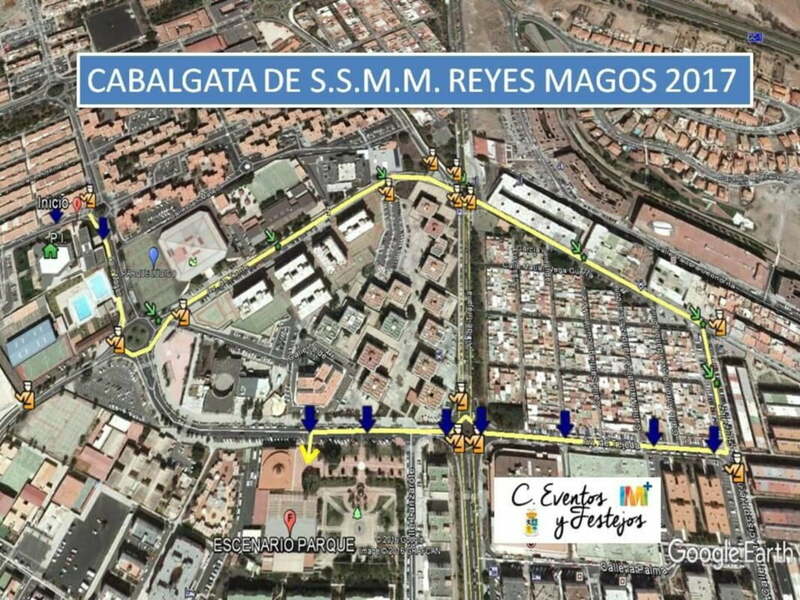 The route of the Cabalgata de Reyes Magos, as in previous years, starts from the Centro Socio cultural de Mayor, on Calle Mogán, to continue the journey via Avenida Tunte and Tirajana towards the Avenida de Gáldar, and link later with San Fernando Park via Avenida de Tejeda. Throughout the procession, three hundred people will be taking part on or accompanying the eight carriages with children’s motifs such as The Little Mermaid, The Circus, The World of Princesses, Canine Patrol and many more characters. 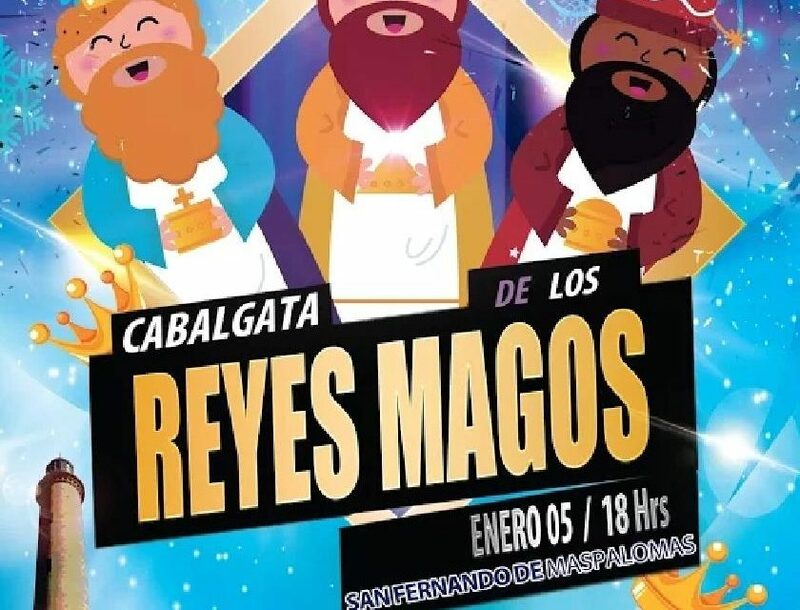 After the parade at Plaza de San Fernando, the final gala show for children, the Mayor, Marco Aurelio Pérez Sánchez will give the Magi the official magic key of San Bartolomé de Tirajana, which opens all the homes of the municipality and children can deliver their letters. 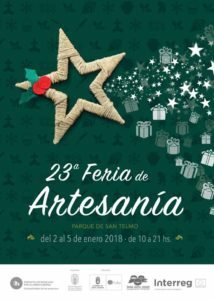 2-5 January, The Cabildo de Gran Canaria through FEDAC – Artesanía – Cabildo de Gran Canaria, the traditional Handicraft Fair in the Parque de San Telmo – Zona Triana. The 23rd Fair, open from January 2 to 5 will include 109 artisans from 38 trades and will be open from 10:00 to 21:00 except for the eve of Kings, in which the exhibitors will remain open until midnight. 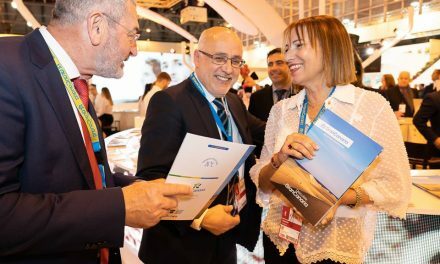 Visitors will be able to enjoy a program of parallel activities, such as live theater and musical performances, which will make their walk through the exhibitors more enjoyable. 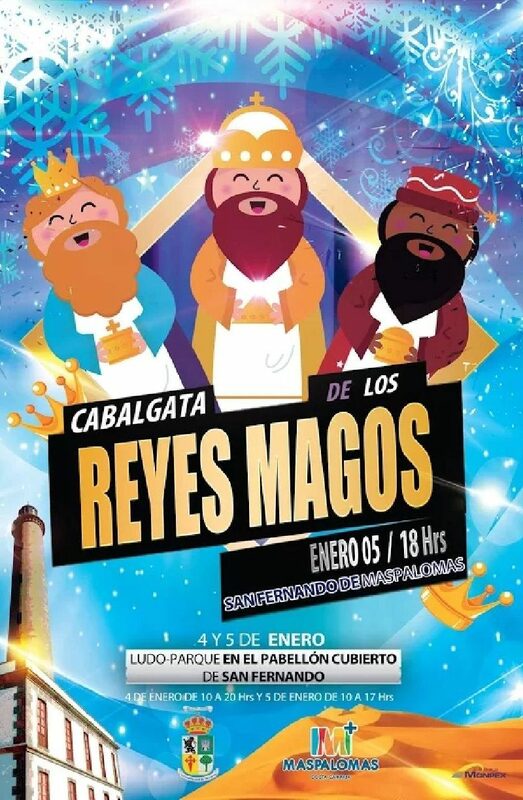 The arrival of the Their Majesties, The Kings, the three wise men will disembark between 11:00-12:00 at the cruise terminal in Santa Catalina Pier. Friday 5 January, living theatre. 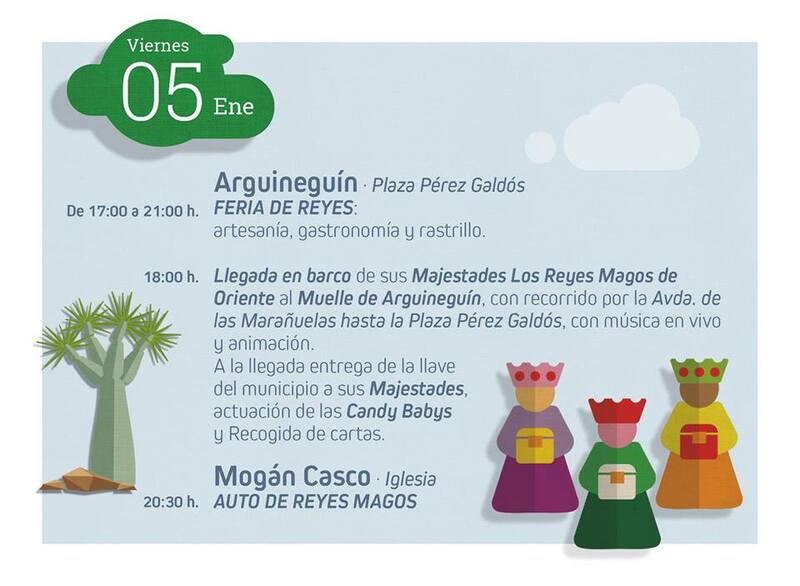 Since 1956, Agüimes has celebrated the “Magna Cabalgata de Reyes”, an outdoor theatrical performance. This is an event to see at least once. 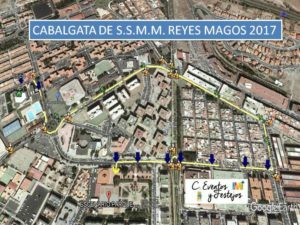 The 63rd royal procession, organized by the assocation “La Salle” departs at 20:00 from the gardens of the Colegio Nuestra Señora del Rosario. From this point begins the traditional tour of the five stages arranged around the town, until you reach the Plaza Nuestra Señora del Rosario. The act ends around eleven after the adoration of the “Child” in the manger. Then the kings, preceded by their retinue, retire to rest for a while leaving behind an enormous trail of goodies. First Scene, the Annunciation, Parque los Moros. visit of an angel who announces the good news. Second scene, meeting with the shepherds. Calle Juan Alvarado y Saz. The royal party arrives at the Park of the Moors. They approach the group of pastors to ask about the place where Jesus was born. After the conversation, the Hebrews and the shepherds join the procession. Third scene, visit to Herod’s Palace. 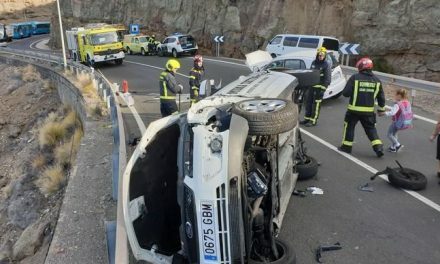 El Ejido. Melchior, Gaspar and Baltasar arrive at Herod’s Palace. Priests, scribes, prophets and courtiers receive them and are interested in the reason for their presence. Herod, warned of the royal visit, appears and from the battlements of the castle to ask the visitors the reason for their coming. Knowing the legends and testimonies of the birth of a Child God included in Hebrew scripture, he dismisses the strangers, upon his return, they tell him the exact place of the birth so that he too can go and adore the child. Fourth scene, appearance of the Angel. A sreet corner, in the conuencia of the streets Alvarado and Saz and Fernando González, an angel appears to show them the way to the “portal”. Fifth scene, birth. Plaza Nuestra Señora del Rosario. The procession reaches the “stable” where, only with the company of an ox and a mule, the Holy Family lodges. Hebrews and shepherds offer their gifts to the newborn, then the “magis”. 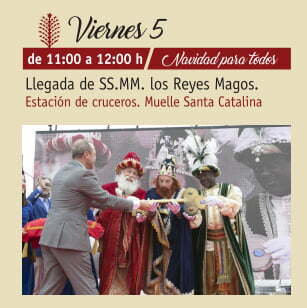 The Mayor gives the Kings the magic key that opens the doors of all the houses of Agüimes. And the Kings, accompanied by their large delegation, collect the magic keys and begin their journey home. This massive piece of nativity street theatre attracts thousands of spectators every year, so we advise arriving early if you want to find parking! 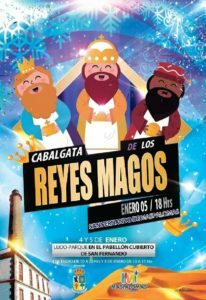 Thursday, 4 January, Welcome the Kings and Children’s party from 15:00-21:00. 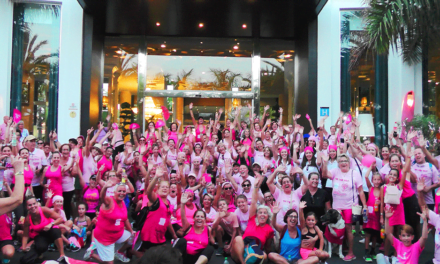 On the afternoon of Thursday 4 will be held a huge children’s party from 17:00 to 21:00 on Avenida de Canarias, where 13 inflatables, 6 children’s workshops and 3 face painting will be installed. From 15:00 to 15:30,The Magi of the East arrive to the town, and will tour the different neighborhoods in old convertibles, escorted by Harley Davidson motorcycles! The Parade travels from Cruce de Sardina to the Theater Víctor Jara and at the end the Mayor will deliver to the Magi the Master Key to all the houses at Plaza de Los Algodoneros. 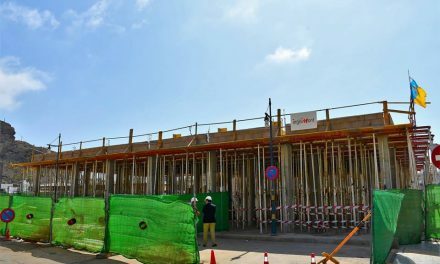 The neighborhood of San Gregorio, and more specifically Calle Diego Ramos Galván, will hold a ‘We are Kings. Christmas Market ‘, a true transformation of the traditional fair of Kings that has been held in recent years. 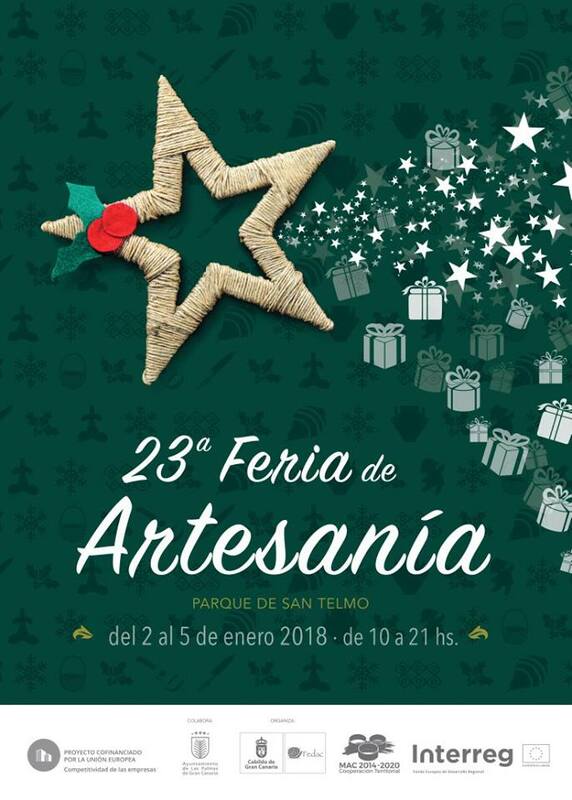 Some 20 brands will exhibit their products, in unique tents under Christmas lights and decorations. The Market is open on January 2 from 16.00 to 22.00, on 3-4 January from 12:00-22:00, the eve of Kings 5 January 12:00-23:00. 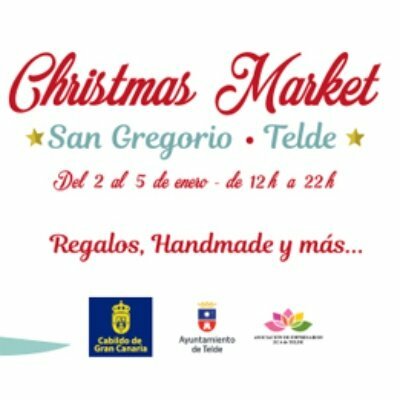 Friday 5 January, Telde is in festive mood all day, starting at 10:00 with children’s activities in Plaza San Juan and a children’s street parade from Plaza de San Gregorio to Plaza de San Juan and at 11:15 a Canarian folk group performing. 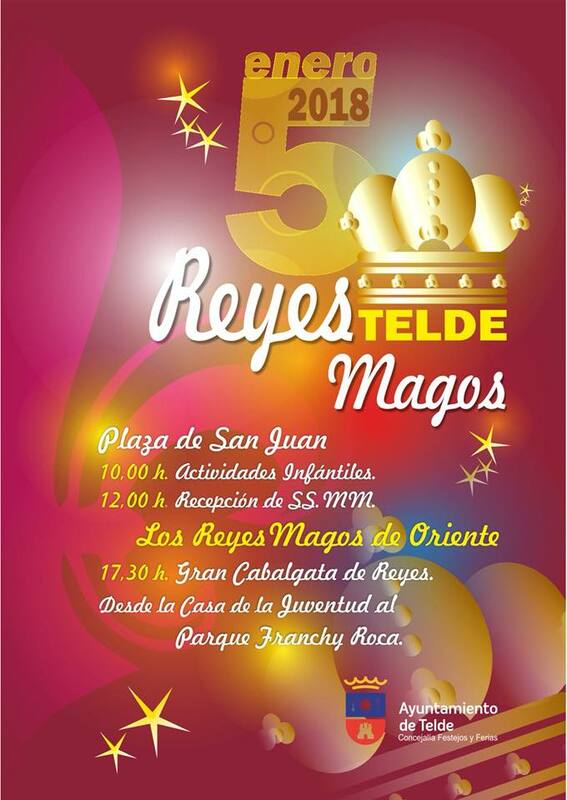 At 12:00 the recepcion of the Reyes Magos and giving of the key to the town at Plaza de San Juan. 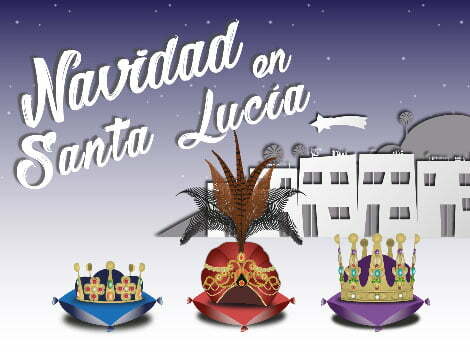 The parade starts at 17:30 from Casa de la Juventud and tours the streets; Calle Argentina, c/ Dr. Gutiérrez Armario, c/ Alonso Quesada, / poeta Fernando Gonzalez, c/ Avda de la Constitución, Plaza de San Gregorio, c/ Rivero Betancourt, c/ Maria Encarnacion Navarro and ends to Parque Franchy Roca. Anything happening on the 6 Onwards? Sounds brilliant .